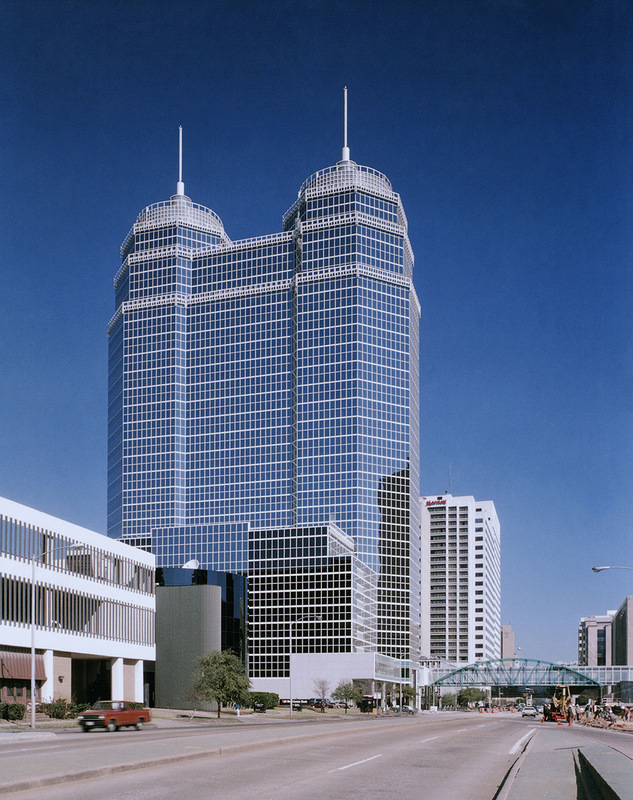 This 27-story medical professional building in Houston’s Medical Center provides over half-a-million square-feet of doctors’ offices above a 1350-car parking garage. 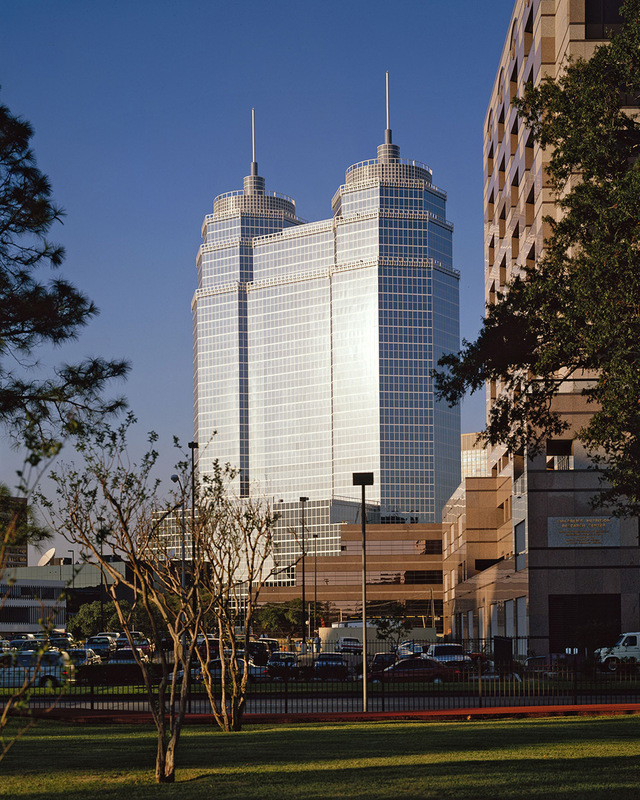 The professional building is connected to St. Luke’s Hospital by an arched glass and metal pedestrian bridge over Fannin Street. 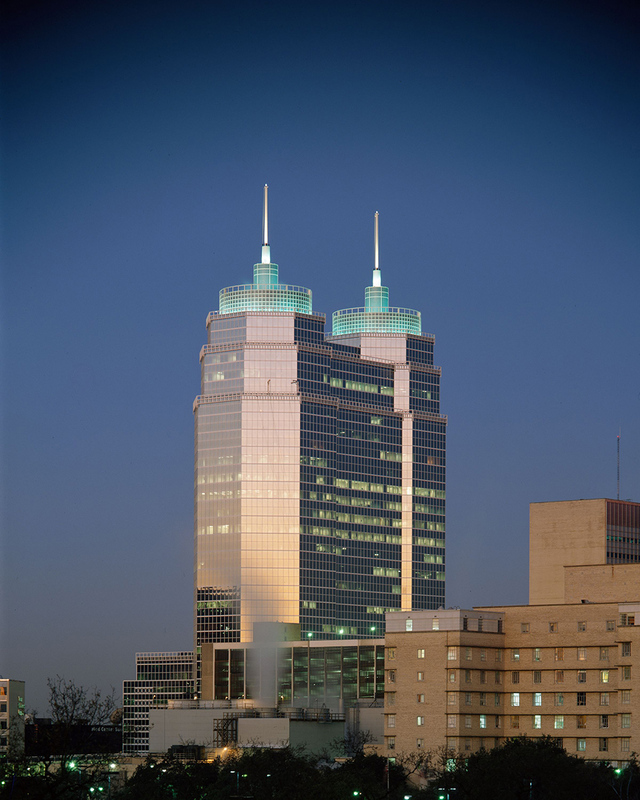 A taut reflective glass and aluminum skin encloses the tower that terminates in distinctive twin spires. The lobby spaces are finished in marble and wood to create an inviting and welcoming entrance.